So – enter the Female Film Force, set up by social and dating app Bumble. 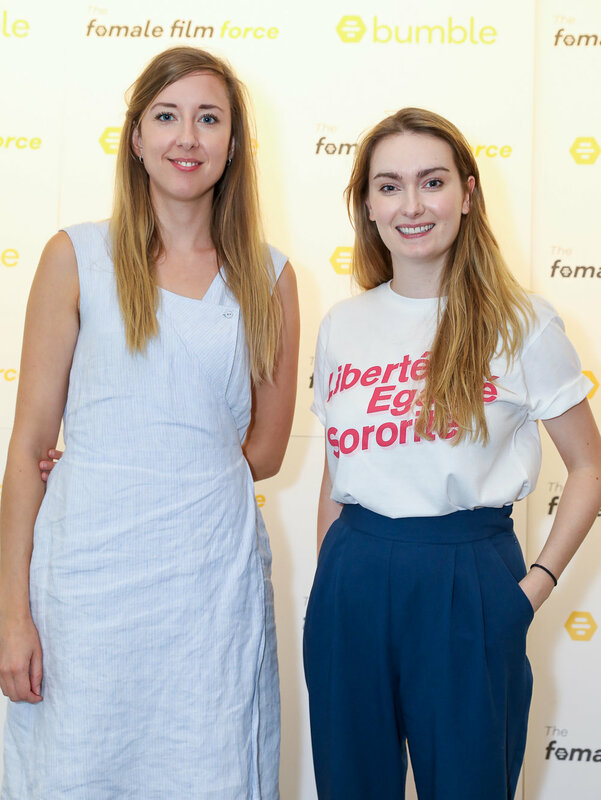 After a nationwide competition, Bumble has granted five all- female filmmaking teams £20,000 each to make the short film of their choice. And Electra met a couple of the winning directors to see what the future face of filmmaking could look like. Emma Moffat has always been a history lover, which she describes as a “joy.” She studied it at university. So it’s not a surprise that she has written, and will now direct a short called “A Battle in Waterloo,” working alongside her producers, Tilly Coulson and Anna Hargreaves. After learning that her husband, a British soldier, is missing in action at Waterloo, Ellen leaves camp and desperately searches the forest next to the battlefield, entering the centre of one of the most violent battles of the 19th century. "I was shocked to find that the premise was real, that women did fight in this period and in other periods in history." “I wrote it as I am interested in military history and women’s history,” Emma explains. “ I have always been interested about what women did during wars. There aren’t many films about women fighting. So I wrote a fictional film set around the battle of Waterloo which is a vast battle, and when I did more research I was shocked to find that the premise was real, that women did fight in this period and in other periods in history. I was quite sad I didn’t know about it as it hasn’t really been taught. Of course a lot of women were present to treat the wounded, or as camp followers, but some did fight. However, Emma Moffat has ambitions to make a fully-fledged historical feature one day, and her dream would be to follow in the footsteps of Christopher Nolan and Ridley Scott and make big-budget military set pieces. Having started out as a runner on Inception, she gained experience in visual effects and then recently assisted Christopher McQuarrie on Mission Impossible –Fallout “and have learned so much from them about making an action film. The Japanese ‘women of the sea.’ It’s a fair bet you might never have heard of the Ama Divers, but this group of women have free-dived for three thousand years, in a tradition passed from mother to daughter. Georgie, working alongside producer Yoko Ishitani, is going to shine a spotlight on these women and their way of life, which is under threat. "Basically, modern life has crept into the community and it is a hard way of life to take on. It’s very physical and gruelling, and a lot of young women are now choosing to make their living in the city." As both Japanese and British, she says she is passionate about showing less stereotypical facets of Japanese culture to a western audience. The founder of her own company, Geeks in Motion, she now specialises in art and observational documentary and first met the Ama Divers just over a year ago. Georgie can now literally immerse herself into the Ama way of life, filming underwater with the divers, who she says are “a real anomaly in a patriarchal society like Japan, especially as the tradition is passed through the female line. “They have been doing this for thousands of years and now their way of life is threatened to there’s never been a better time to make this doc. Basically, modern life has crept into the community and it is a hard way of life to take on. It’s very physical and gruelling, and a lot of young women are now choosing to make their living in the city. Georgie laughs when asked if this is inevitably got to be a prelude to a full feature length documentary. “It is going to be really hard to make a short,” she admits. “It is the biggest challenge as there is so much I could say. Bumble, featuring Bumble Bizz and Bumble BFF, is free and available from the App Store and Google Play.